By Ross Elliott - posted Monday, 23 March 2015 Sign Up for free e-mail updates! The advent of ‘urban renewal’ in the 1990s has been such a blistering policy success that it’s now arguably well out of proportion to the realities of need based on where people actually live. It’s as if the magic “5 kilometre ring” around our city centres has become a policy preoccupation and an industry obsession. One look at the evidence though suggests perhaps it’s time we turned attention to the suburbs, where the vast majority of us live, to restore some balance. 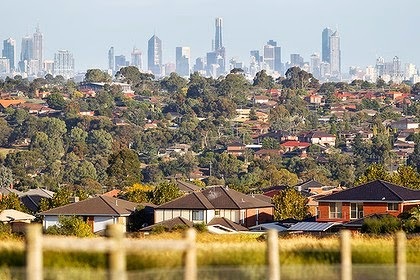 The middle and outer suburbs may not capture the interest of intellectual elites or (with some exceptions) provide the homes of the wealthiest in our society, but they do continue to house the vast majority of Australians. 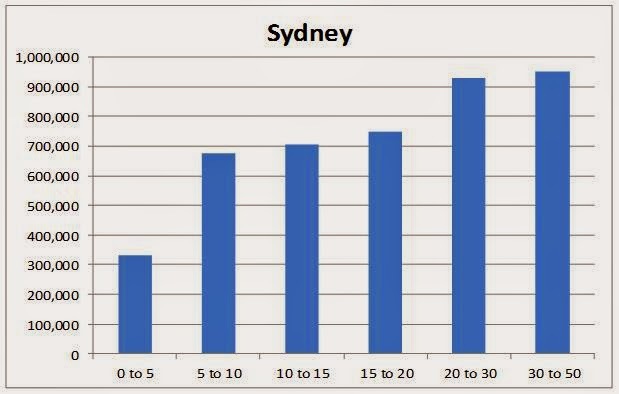 All the hype and excitement about “inner city café lifestyles” belies the statistics which show in stark reality that Australia is not only a nation of city dwellers, but within those cities we are overwhelmingly a nation of sub-urban, as opposed to urban, dwellers. Gushing media reports about inner city real estate markets and frantic development activity, public transport projects, parkland projects, bikeways, cultural facilities and the like fail to mention that only 10% of us, at most, live within the 5 kilometre ring. A thumping majority of 90% to 95% of Australians, in the major cities of Sydney, Melbourne and Brisbane, live outside the 5 kilometre ring of privilege. As a rule, 70% to 80% of us live further than 10 kilometres from the city centre, in outer-middle and outer suburban areas. It’s also true that the majority of us not only live beyond the inner city, but we also work outside it. Our pattern of living is not only overwhelmingly suburban, but so is our economy. (More on this next month). So how do our three largest cities shape up on the evidence? There are just over 330,000 Sydney residents living within 5 kilometres of the city centre. There are a total of 4.34 million people living within 50 kilometres of the city centre, so that’s a fairly small 8% of the total who call the inner city home. Twice as many people – 675,000 – live from 5 to 10 klms out and the numbers and percentages continue to rise the further out you go. They may live at lower densities in the outer suburbs but numerically they outnumber inner city residents ten to one. 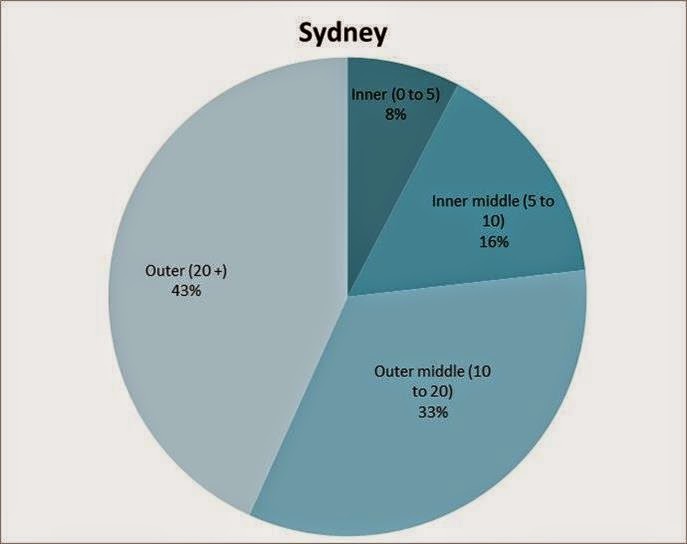 If we think of suburbs from 10 to 20 klms out as ‘outer middle’ areas and those over 20 klms out as ‘outer’, then 80% of the Sydney population lives further than 10 klms from the city centre. 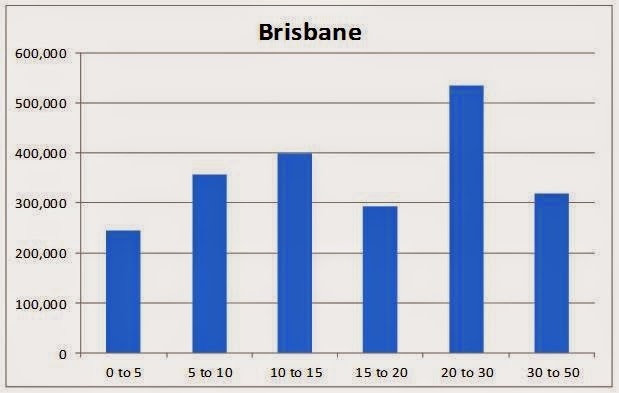 There are fewer people living within 5 klms of the Melbourne City Centre than even Brisbane. Of the total 4.154 million people who live within 50 klms of the city centre, this is just 5% of the total. 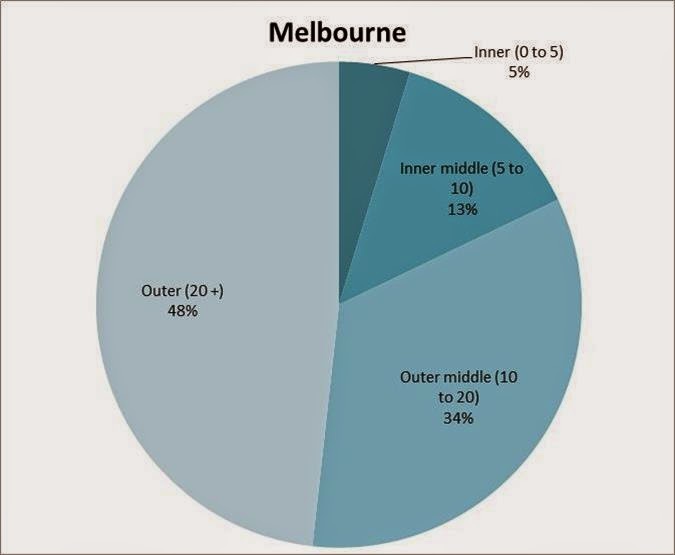 There are a further 13% of Melburnians who call the 5 to 10 klm band home, while a very substantial 82% of Melburnians call the outer-middle and outer bands home. 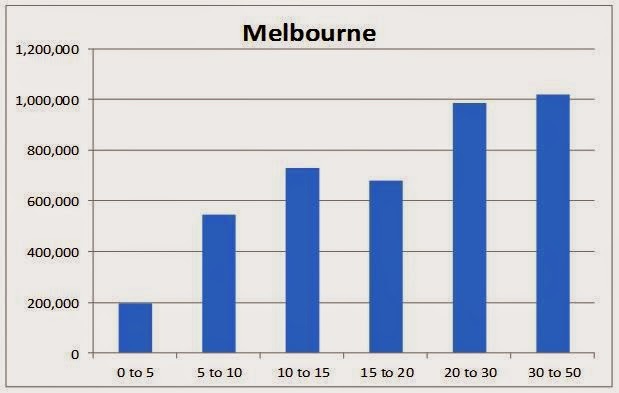 Even if the number of people living within the 5 klm ring of Mebourne’s CBD doubled, it would have next to no impact on the overwhelmingly suburban distribution of the population across the Melbourne metro area. Thanks to the team at Urban Economics for providing the raw data for this yarn. If any readers want more, they’ve got the numbers and the breakdowns and I’m sure they’d be happy to hear from you. But don’t blame them for my conclusions – which are entirely my own. Call them on +617 3839 1400.